Clay Pebbles are baked clay pellets that form an ideal substrate for use by experienced growers. Clay Pebbles are ideal for growers who want to control the application of nutrients and the humidity level of their plants throughout the entire cultivation process. 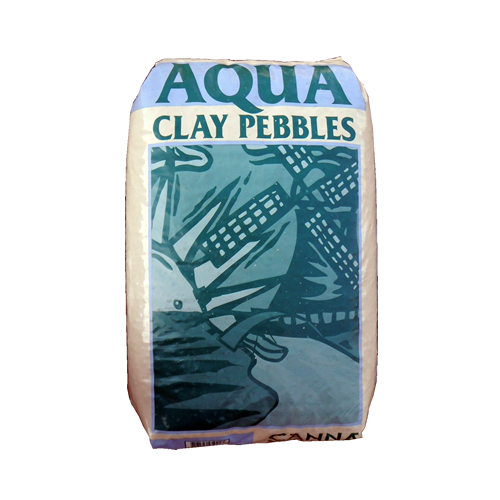 Clay Pebbles are manufactured from special types of clay that have a low soluble salt content. Because of this, they are particularly suited for use in closed hydroponic cultivation systems. Clay Pebbles have both high porosity and high air content which stimulate the development of strong roots that grip the substrate well. Strong roots mean bigger yields. 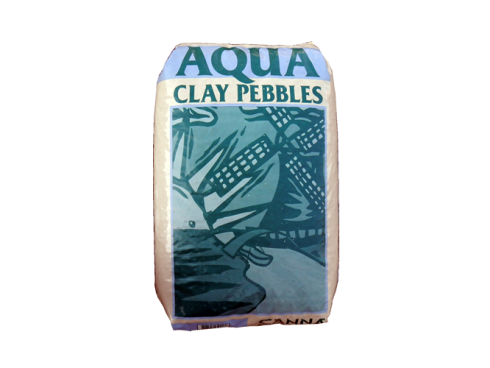 Clay Pebbles are inorganic, have a neutral pH value, are fungus free and do not rot. Clay Pebbles give you the basis for optimum growth and flowering. They give the highest yield when used in combination with CANNA Aqua Vega and Aqua Flores nutrients.